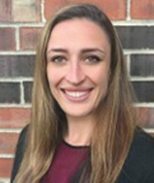 Emily McGee has assisted the Rome Foundation in various capacities since 2014, becoming a permanent part of the team in fall 2016 as Project Manager. She’ll be focusing her efforts in several areas, including coordinating Licensing and Copyright for the Rome materials and assisting with the Global Studies initiative. Emily originated from the west suburbs of Chicago, Illinois and graduated from the University of North Carolina at Chapel Hill in 2013. At UNC, she received her BA in Business Administration and Sports Administration while playing on UNC’s Division I volleyball team. Before joining the Rome Foundation, she worked in Project Management in the financial industry in Chicago, Illinois.